Apple has signaled a new stance on Bitcoin and other cryptocurrencies with a change to its App Review Guidelines for the App Store. 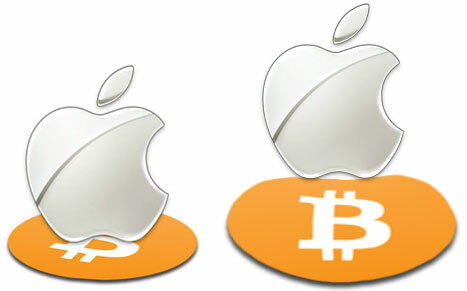 Though Bitcoin wasn't mentioned by name, for the first time Apple specifically stipulated that the "transmission" of "approved virtual currencies" would be allowed, a reversal from an unstated position that resulted in all Bitcoin wallets being kicked out of the App Store. In February of this year, Apple pulled Blockchain.info's app from the App Store. Blockchain.info is an online wallet service, and the company's app allowed users to access that wallet from their iPhone and send and receive Bitcoins from within the app. In December, the same thing happened to Coinbase. Many Bitcoin-related apps were allowed to stay, but not those that facilitated Bitcoin transactions. The same is true for other cryptocurrencies, such as Litecoin and Dogecoin, two of the most popular altcoins. Users can still use online wallets through Safari, and there is at least one HTML 5 wallet app called Coinpunk, but Apple's actions angered cryptocurrency fans. Apple didn't specify what the problem was, but logical speculation centered around the gray legal area Bitcoin has in the eyes of regulatory bodies around the world. This is the frustrating side of Apple's curated walled garden, but that could be changing. The IRS ruled earlier this year that Bitcoins are property, not currency—never mind that they're spent like currency. The Financial Crimes Enforcement Network (FinCEN) has released its own take on various aspects of Bitcoin, while some banks will close your account if they decide you're conducting Bitcoin-related business with those accounts. In Europe, some countries have ruled that Bitcoins are taxable as assets (think 30 percent taxation on every transaction), while others have ruled that they will impose no regulation on Bitcoins at all. The Chinese government has taken several steps to make it harder to conduct Bitcoin transactions, though it hasn't expressly declared the cryptocurrency illegal. That's just the tip of the iceberg. In a best case scenario, we are years away from any meaningful regulatory consensus on Bitcoins, and all the while a significant portion of the Bitcoin community is dead set against any regulatory oversight anywhere in any capacity. In the meanwhile, Overstock.com, TigerDirect, Dish Network, and even Microsoft's Bing are the largest of a growing fleet of business that accept Bitcoin for payments. Apple's previous stance risked keeping iOS on the outside of the cryptocurrency trend, something that could be corrected with the new policy. The reality is that Apple's Guidelines change isn't likely to result in Coinbase, Blockchain.info, or any other service bringing a wallet to the App Store any time soon. It's anyone's guess when that bolded clause above can be satisfied, but at least Apple has spelled out a position grounded in reason and logic. And that's a step forward.